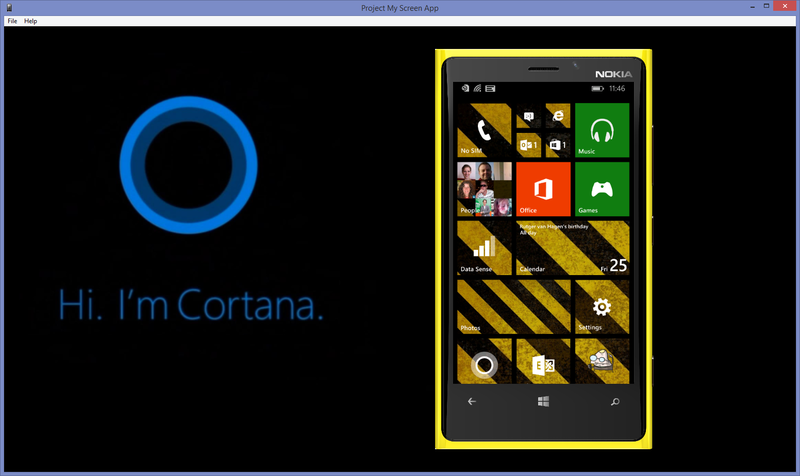 ← Hacking Cortana: meet *all* of Cortana’s personas! Posted on April 25, 2014, in windows phone and tagged project, skin, windows phone. Bookmark the permalink. 15 Comments. I just found your site and am loving it! Do you know if you can do a full screen projection where there are no skins showing at all? I want to see if I can do a full screen landscape mode w/ no skin and use a skin for portrait. Also, I was unable to control the phone with the pc mouse or touchcreen – any ideas? Thanks! As I’ve written in this post, you don’t need to use a phone image. You can just use an empty (“”) value. Or even use a phone image that’s filled with one color, preferably matching the background color you use. From tests I did it looks like the application currently doesn’t support PNG’s with transparency. You can use the scaleFactor to scale the phone to your screen. As for not being able to control your phone from the app: I don’t know. It worked for me. Hi Leon. I could understand whole process, but still I do not know where you get the values for the Back, Windows and Search buttons. Could you please tell me how did you get those values? Where did the value 1273? The image png from your lumia is 1535×2816 pixels. What does 1273? I have a Lumia 520 and understood many of the things that explain here, and I want to customize ProjectMyScreen, but as I said before, not know yet where you got the values for buttons. Please I ask your help to customize the app. The values for the buttons are their respective bounding boxes, defined by a top-left and a bottom-right XY-coordinate. So for the Back button I defined a bounding box that has its top-left corner at (128,2356) and its bottom-right corner at (400,2600). You can determine these coordinates by opening the image in an image editor. Often when you hover your mouse over the image, the status bar will display the current mouse pointer coordinate, relative to the image. The 1273 value is the width of the phone’s display as it appears on my phone image. As you can see my phone image has a large transparent/white box where the display should be. 1273 is the width of this box. I hope this helps you create your own config.xml! 1- Where did you get these values to the video output? 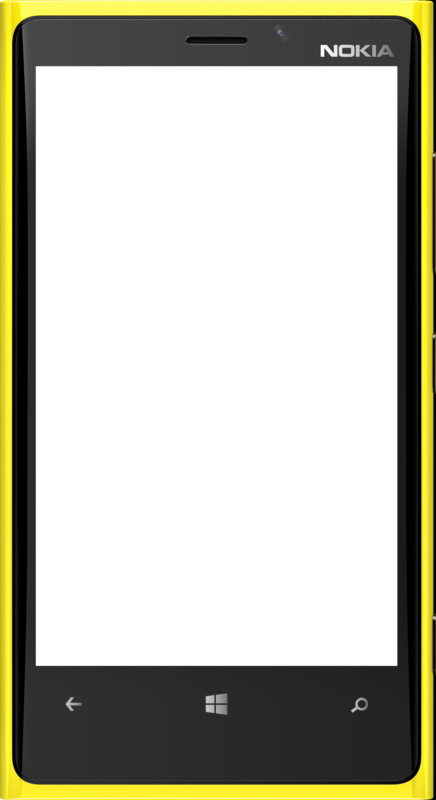 3- I have an image (in PNG format) from my Lumia 520 and its size is 576×1088 pixels. Do you think the size is right or I have to enlarge the image? You had to create a .bat file to run the application with changes made in the XML file? That’s all. I hope your answer, thank you for your help. I mostly use Adobe Photoshop for my image editing work. If you want a good free alternative, I’d point you to Paint.Net (http://www.getpaint.net/) or GIMP (http://www.gimp.org/). You don’t need a .BAT file to run the application with the XML file. You can open a Command Prompt and execute it from there. I think you could even drag/drop the XML file onto the ProjectMyScreen app’s icon. In any case, you need to specify the XML file as a parameter to the executable at launch. There are multiple ways to do this. Just choose one. Hi Leon. I was able to customize the app Project My Screen with your post, thank you very much friend. 🙂 Hey, you say: ” you need to specify the XML file as a parameter to the executable at launch” Well, I’m not a advanced user, I made only a .bat file to run the app, but I do not know how to specify the xml file as a parameter. In the above statement “Config.xml” is passed as a parameter. What don’t you understand about that? 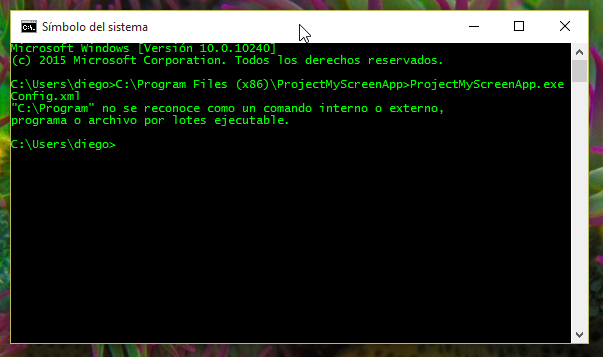 In the article there is a part where you say: “Now launch the ProjectMyScreenApp using the config.xml file as an input parameter. 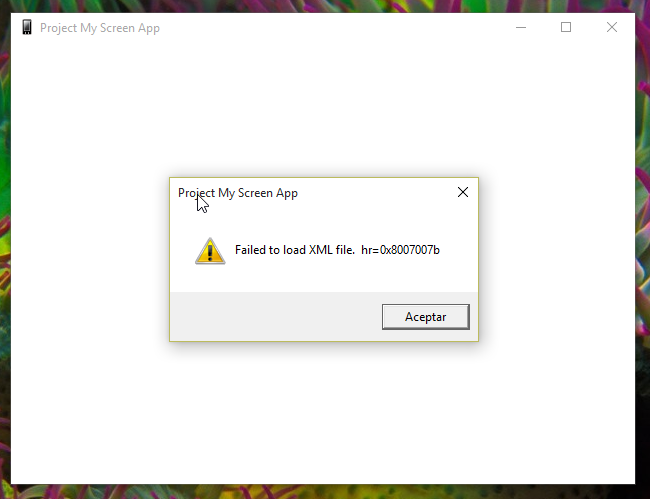 One way to do this is starting it from a Command Prompt window like this: C:\Program Files (x86)\ProjectMyScreenApp>ProjectMyScreenApp.exe Config.xml” Well, by doing that it appears that you can see here (even running it as administrator) http://i.imgur.com/i5917To.png The image says: “C:\ Program” is not recognized as an internal or external command, program or executable batch file. 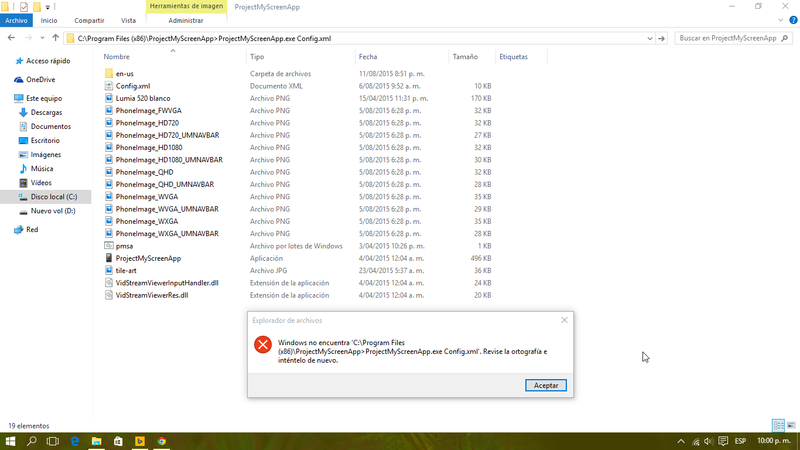 The warning says: Windows does not find “C:\Program Files (x86)\ProjectMyScreenApp>ProjectMyScreenApp.exe Config.xml”, Check the spelling and try again. I’ve done everything that you said, as you could see in the pictures, but I only get warning messages. As I told you before, I do not know how to specify the xml file as a parameter. What is it that do I need? what is it that am I doing wrong? Please, I await your reply soon. Thank you very much for your post 🙂 I’m really grateful to you.